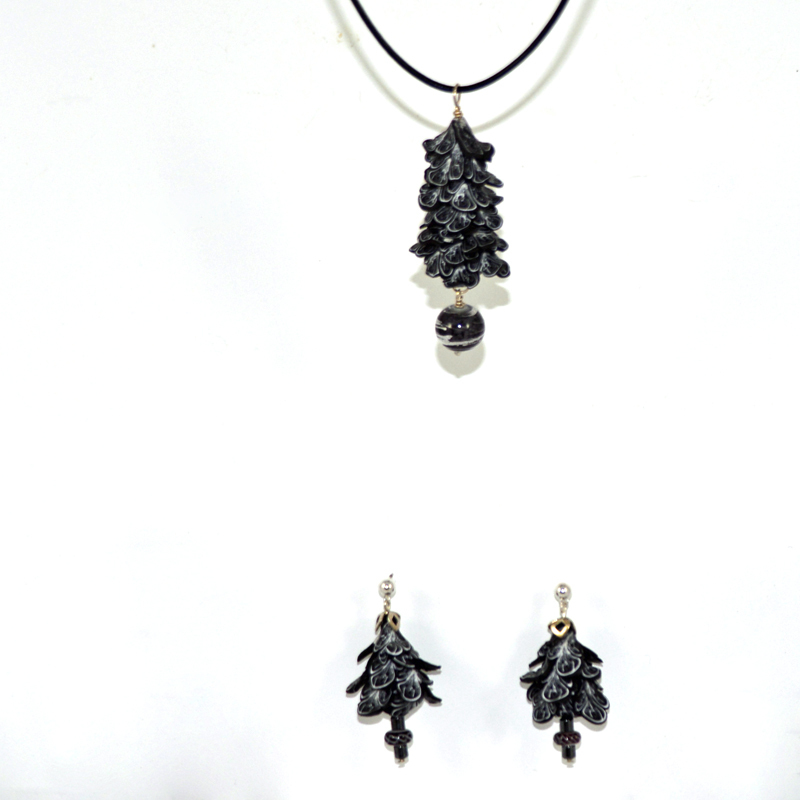 This handmade black-white jewelry set adds a unique style to your accessories. are very light weight and are a pleasure to wear. The hand formed individual petals of the black and white flowers made of durable and lightweight polymer clay show attention to detail. The petals, stacked like a pine cones or a blue lupine flower add lots of interest. A clear glass ball dangles from the cone. The pendant/necklace hangs from an 18″ black cord. 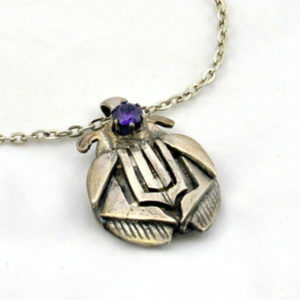 The 2″ long pendant hangs freely from the cord. 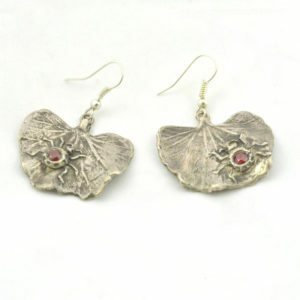 Individual hand shaped petals form the dangle earrings. 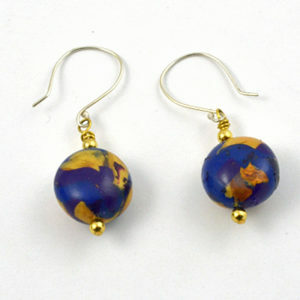 The light weight earrings provide comfort all day – a pleasure to wear. Lots of style with this black and white set.